With a new chapter of recipes by Stephanie Hafferty, see also her book The Creative Kitchen. Now all colour and rewritten throughout with new methods, varieties and advice. The new 2018 edition, in hardback only until spring 2019. A compendium of practical methods for growing a wide variety of salads throughout the year, will inspire you to grow your own, whether on small or large scale. 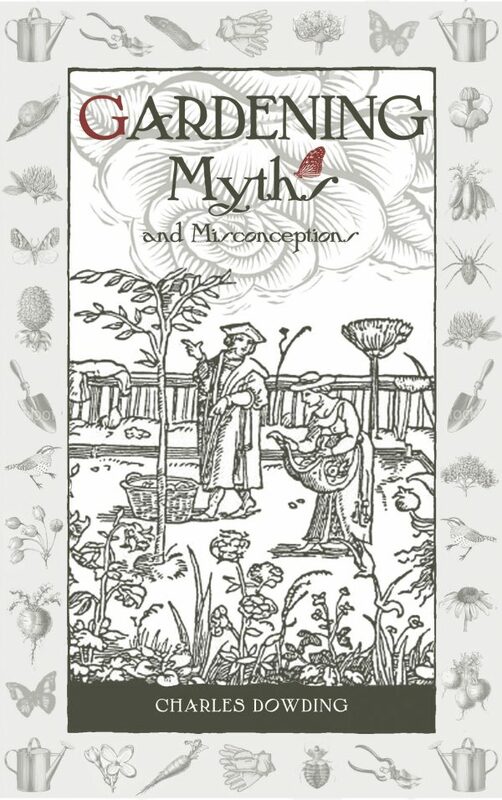 This book is used by home gardeners and market gardeners. Small is beautiful, less is more: I explain how to have regular daily harvests from a small number of plants. 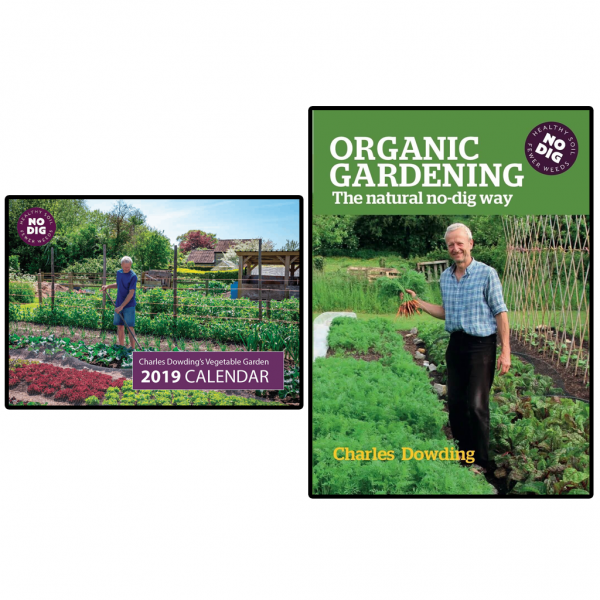 This compendium of practical methods for growing a wide variety of salads throughout the year, will inspire you to grow your own, whether on a windowsill, on a patio, in your garden, on the allotment or in a market garden. 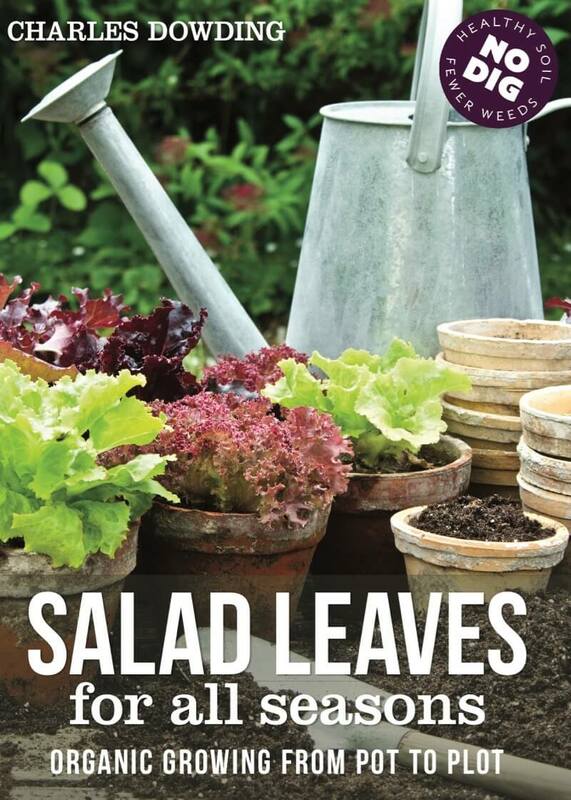 Learn the subtleties of salad seasons and virtues of different leaves throughout the year. 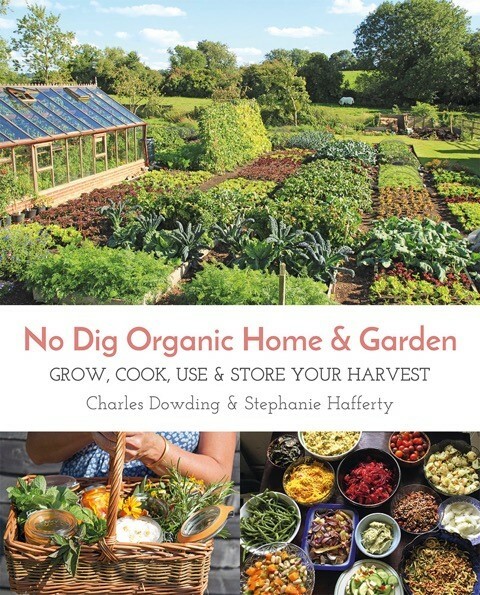 And when your table is groaning with the abundance of your harvests, there are Steph’s delicious and imaginative recipes to bring out the fantastic flavours, colour and vitality of home-grown salad leaves. The most comprehensive book to be produced on salads that I have ever read. As a professional salad grower for 7 years I am still learning from his 25 years experience and methodical and compelling research and experimentation. There is so much information packed into it that I go back and back to it. That being said, a complete novice could buy this book and never have to buy a packet of miserable tasteless leaves from a supermarket again. With super, seasonal recipes by Stephanie Hafferty. NEW EDITION 2018, now all colour, updated varieties, methods and photographs. Currently hardback only, paperback in spring 2019. Your salad book is a super useful tool, so I have been able thanks to that to choose very nice varieties. Chefs are loving it. I use your picking leafs technique and the yields are amazing. Plants grow every day. Madrid weather in autumn is perfect for salad.